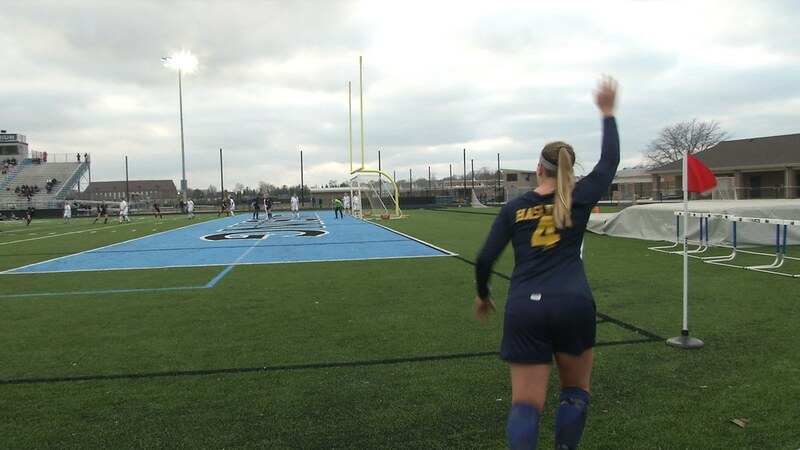 LANSING - The Haslett High School girls soccer team played Lansing Catholic yesterday for their second game of the season. The lady Vikings had possession of the ball most of the game which allowed them to take an early lead as well as keep it. The first goal of the night came from Emma Campbell, who is the only freshmen on the Varsity team. Her goal came from an assist by Mutatu, who would also score the second goal right after halftime. Senior Tegan Woodworth and Junior Elizabeth Furgason would also go on to score a goal during the game, and the Vikings would end up winning the game 4-0. Their next game is Tuesday, April 10 against East Lansing High School.